Provide comfort for the family of Doris Curry with a meaningful gesture of sympathy. 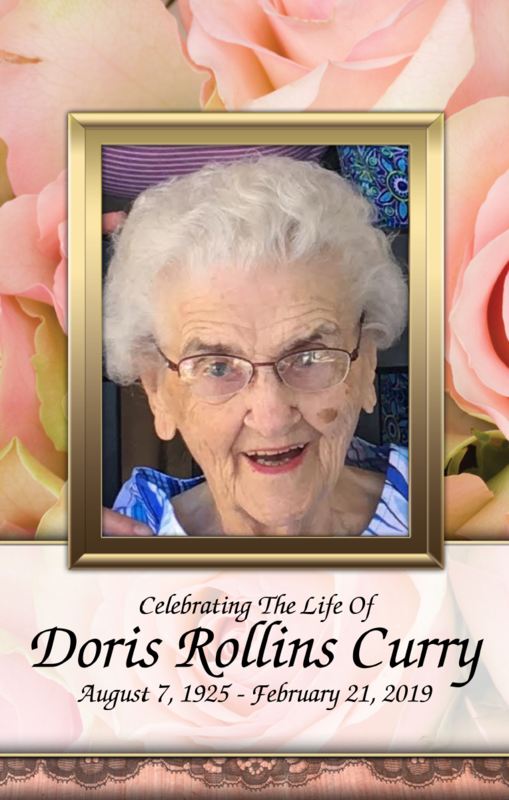 Doris Rollins Curry, age 93, of Laurens, passed away on February 21, 2019. She was born in Greenwood, SC, to the late T. J. and Elizabeth Rollins. She was predeceased by her husband of 70 years, Sam Curry. She was employed by the Laurens County Treasurers Office for several years. She was a member of Rocky Springs Presbyterian Church where she sang in the choir and taught Sunday school class. She was a great wife, mother and friend to everyone she met. Surviving are her three children, five grandchildren and two great grandchildren, Tom Curry and wife Sara of Rock Hill and son Stewart, Shay Jenkins and husband Kent of Honea Path and sons Logan and Andrew, his wife Dana and sons Lyon and Gideon, and Pat Gooding and husband Ron of Greenville and sons Sam and Jack. 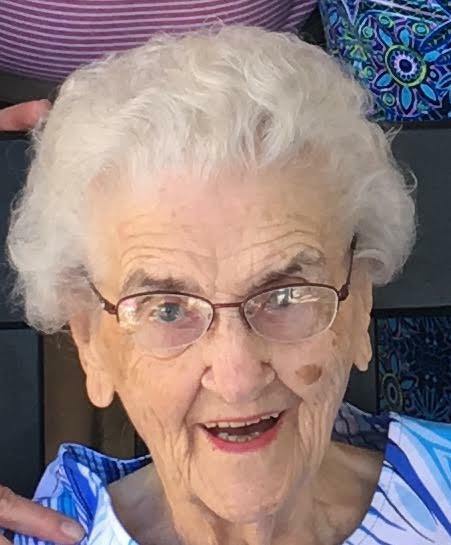 She is also survived by one sister Helen DeVore, two sister-in-laws; Nell Wix and BettyJo Curry, and numerous nieces and nephews. We are very grateful for the care she received at The Springs in Simpsonville and from Regency Hospice. You truly made her life better. 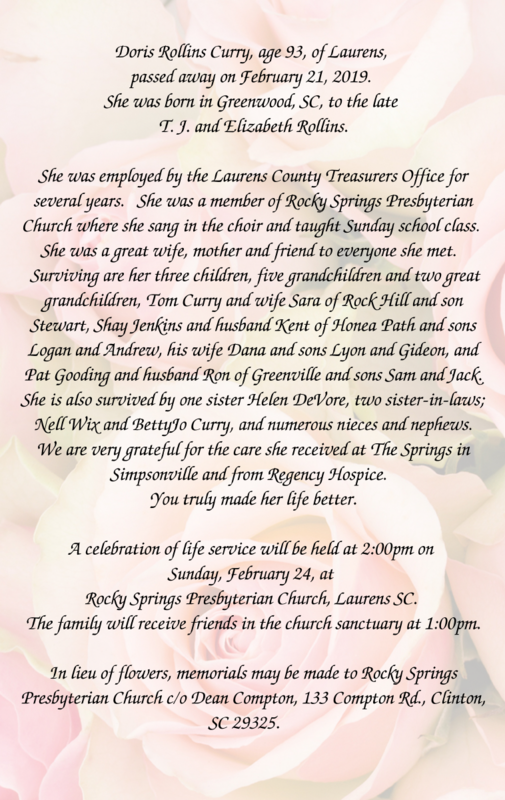 A celebration of life service will be held at 2:00pm on Sunday, February 24, at Rocky Springs Presbyterian Church, Laurens SC. The family will receive friends in the church sanctuary at 1:00pm. 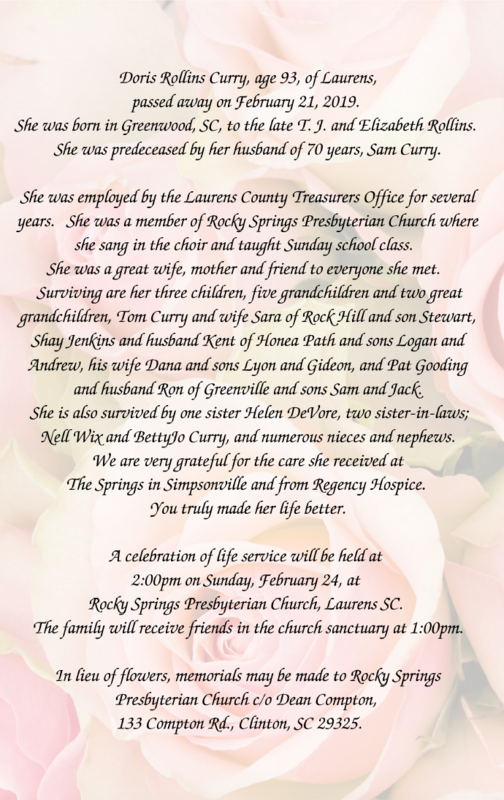 In lieu of flowers, memorials may be made to Rocky Springs Presbyterian Church c/o Dean Compton, 133 Compton Rd., Clinton, SC 29325. Please refrain from the use of lotions or perfumes at the visitation of friends and service. Thank You. To send flowers to the family of Doris Rollins Curry (Rollins), please visit our Heartfelt Sympathies Store. Phil, Paulette & Zack, Jake & Heather sent flowers to the family of Doris Rollins Curry (Rollins). It's never easy losing a loved one, no matter what the age it's always too soon. As time passes may the comfort of fond memories become greater than that of sorrow. Psalm 34 :18 Jehovah is close to the brokenhearted; he saves those who are crushed in spirit. We loved Mama C - her stories, her laugh - so much fun to be around. Hugs and love surrounding you all! Phil, Paulette & Zack, Jake & Heather purchased flowers for the family of Doris Curry.